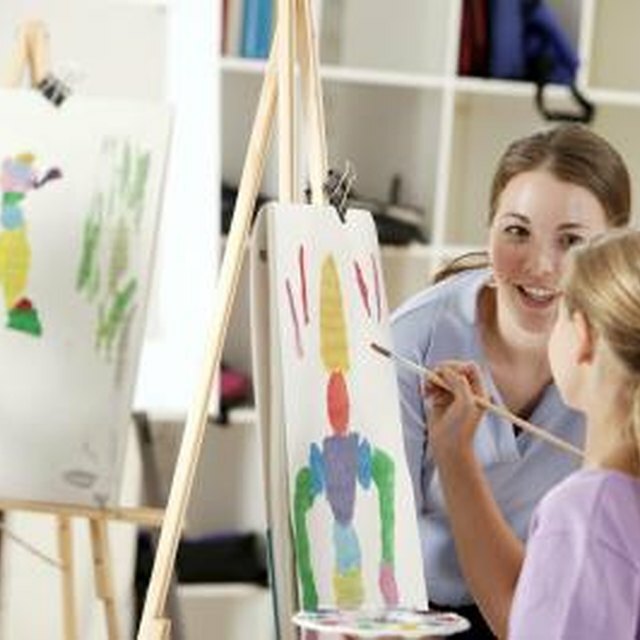 The art center can help your preschooler to get creative. 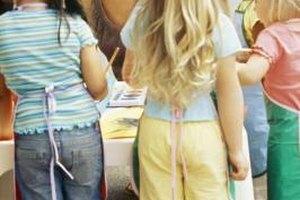 Your little learner's preschool classroom may seem like just a play-filled place, but in reality it is set up in a purposeful way. 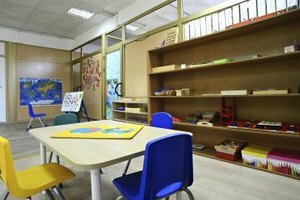 Before you assume that the pre-k room is a hodge podge of toys and pint-sized furniture, keep in mind that the early childhood educators in charge are creating separate areas and spaces for specialized activity times. The preschool science center is a place of wonder, discovery and exploration. While the science area doesn't need to include a massive space or loads of intricate and fancy equipment, it should have enough tools and materials to allow the young child to experiment. The purpose of the science area is to give the young students a safe place to explore, where other toys or running kids don't get in the way. The science center may include items such as magnifying glasses, collections of natural objects, magnets, scales or prisms that can spark the child's interest in the world around him and lead to learning. Think about what would happen if your child's pre-k teacher just left the finger paints, markers and play clay out in the middle of the classroom. Imagine the chaos that would cause and the paint-fueled mess that would likely result. The art center allows the children to explore multiple materials in a separate space. 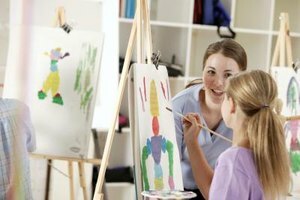 For example, your child's teacher may create an art center that features an easel, a table and chairs, paper, tempera paints, markers, sequins, glue and safety scissors. The preschoolers can either take and play with their favorite materials or try projects that the teacher sets out. Whether the teacher calls it the story-time center, library area or literacy station, a book-filled space is key to your young student's success. Early activities such as looking at books -- or having the teacher read to the children -- are the first steps on the preschooler's road to literacy. The purpose of a literacy-based area in the preschool classroom is to provide the children with the opportunity to have a print-rich environment that includes plenty of books and reading materials. Dressing up in costumes and play clothes doesn't mean that your preschooler is completely living in a fantasy world. Preschoolers are well-known for their enjoyment of pretend play activities such as dress-up, mock housekeeping or acting as characters. 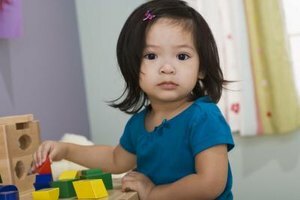 For example, the child development experts at PBS Parents note that by age 4 most kids explore different roles and settings -- such as community helpers or outer space -- through pretend play. The dramatic play area gives preschoolers the chance to engage in this type of play, explore props and try on colorful costumes. Loop, Erica. "The Purpose of Each Area in a Preschool Classroom." Synonym, https://classroom.synonym.com/purpose-area-preschool-classroom-43692.html. 26 September 2017.